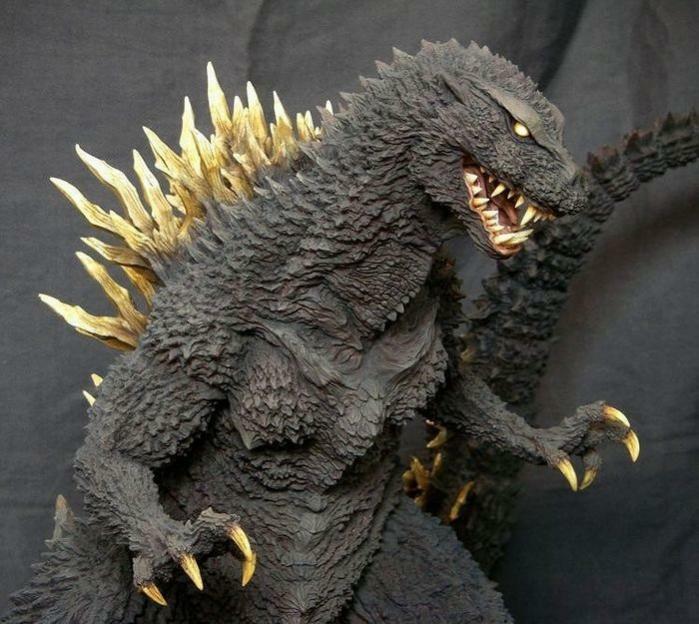 TOHO’s GODZILLA 2016 NEWS ROUNDUP: SCRIPT IS FINISHED, FILMING BEGINS, AND NEW VINYLS FROM BANDAI! – SKREEONK! Hey all, Jon D. B. here with a roundup of recent news for the highly-anticipated return of Toho’s most famous creation in 2016! The script is now complete! 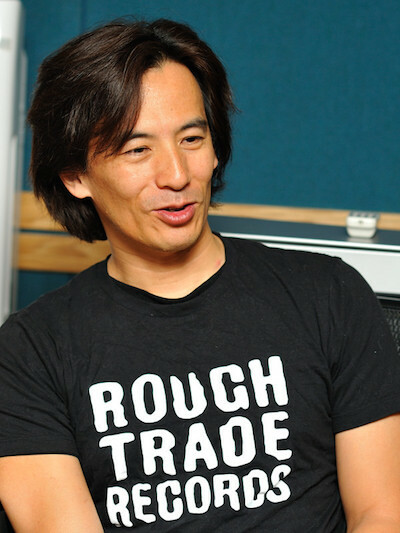 His team will be employing “hybrid effects” – a mixture of suitmation, miniatures, and other classic tokusatsu technicques along with modern CGI. He promises the most terrifying Godzilla that Japan’s cutting-edge special-effects movie-making can muster. Be sure to check out the full interview for more great quotes from the team by clicking this link, or the photo above. Photo and article courtesy of Associated Press. Scified also brought us some great collector’s news recently, stating that Bandai will be producing new figures for the 2016 Toho film, as well as Legendary’s 2018 film! Both Bandai Japan and Bandai America will be producing brand new lines of vinyls for these two films, with releases scheduled as soon as next year. I would expect a line of 6 inch tagged figures for both films. It is, as I always say – a damn good time to be a fan. The full article can be found by clicking this link, or the image of Bandai Japan’s great 2014 releases below. If true (which all things considered, it certainly looks to be), this is beyond exciting news. If that isn’t enough to get you excited, Ragone’s sources also cite prolific sculptor Takayukia Takeya as the creator of the macquette to be used for the Big G’s latest look. Ragone’s sources also reiterate Shiguchi’s quotes from the past, stating that ““(This new) Godzilla is based on the original (1954 version), but is going to be… frightening.” Yes, please. Be sure to read all of August’s original article here. 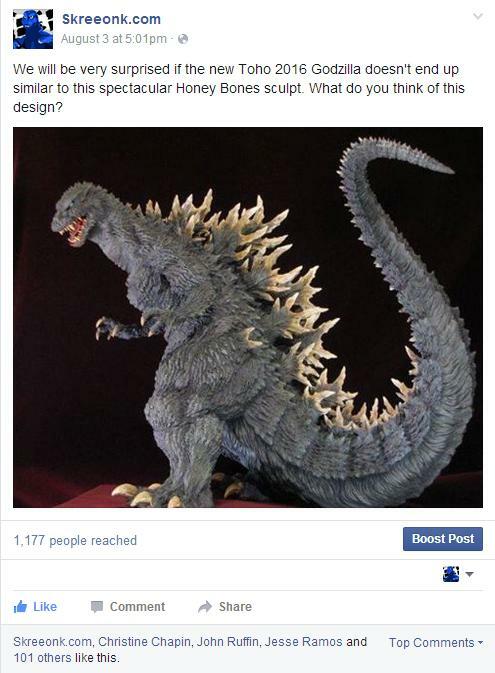 This leads us to our last tidbit, where I posted a photo of the excellent Honey Bones Godzilla sculpt on our Facebook page (the same featured at the top of this article) to give people an idea of what the new Godzilla may end up looking like, given all we know now. I am expecting something similar to this design, if not even a bit more radical, nightmarish, and demonic (think Nightmare Gamera from the Heisei Gamera trilogy – all Shiguchi’s work.). The post was met with over thirty comments and well over 100 likes in just a day’s time – so it goes without saying that the interest is 100% there within the fandom to see a truly haunting King of the Monsters… Something we haven’t seen since 1954. Legendary’s 2014 film was a box office smash, partially thanks to a dynamite marketing campaign – and partly due to it being a genuinely entertaining, well-received entry into the series. The design was a bit radical for some: a bit too stumpy and realistic – yet foreign. Personally, I loved the design for how different and “natural” it was. As a natural history buff, I’ve always wanted to see what Godzilla would truly look like as a towering, lumbering product of nature. What Edward’s team gave us was just that – an enormous, heavy archosaur from the depths of prehistoric oceans. While I do feel they also got his character and demeanor absolutely right – the film itself left a lot to be desired (minimal screentime for the titular monster, lackluster characters across the board outside of Cranston and Watanabe’s roles, etc.). These shortcomings are present in several of Toho’s efforts as well; the franchise has always been a mixed bag of hits and misses. Godzilla was, however, Godzilla in Legendary’s outing. From any angle, you could tell their design was the Big G and not a generic saurian monster. 2016, however, marks the return of GOJIRA – the return of our beloved monster’s heart and soul from a team of craftsman who know him better than anyone else. As hard as any U.S. studio may try – they will never be able to capture the same magic as the tokusatsu masters of Toho, the big guy’s one and only house of birth. To see Godzilla appear once more within a physical, hand-crafted world – Well I don’t know about you, but that makes me incredibly excited. Be sure to follow us on Facebook for up-to-the minute news releases for these films. We’ve been the first to get many of these stories out there, and will continue to do so! Stay tuned as there’s a lot of exciting stuff headed our way! Next Post G-TUBE: SKREEONK.com REFLECTS ON G-FEST XXII 2015! Previous Post BREAKING: Toho’s GODZILLA 2016 Begins Filming! Working Title Revealed!